The young mother, Laura held her little girl, Nina in her arms as she sat in the shade of the huge mango tree. In the intense African heat, she patiently awaited her turn to see the doctor. Her eyes were desperate with fear. As she rocked her baby, there was no movement from Nina’s tiny lifeless limbs. She didn’t flinch when a man dropped a large container near her, nor did she whimper. A pretty young nurse walked to Laura’s side and squatted beside her, extending her arms to take the baby from her—she willingly handed over her little girl. Over the next few minutes, the nurse would pass a small tube into the baby’s stomach, and slowly, patiently inject a fresh water and electrolyte solution to rehydrate tiny Nina. 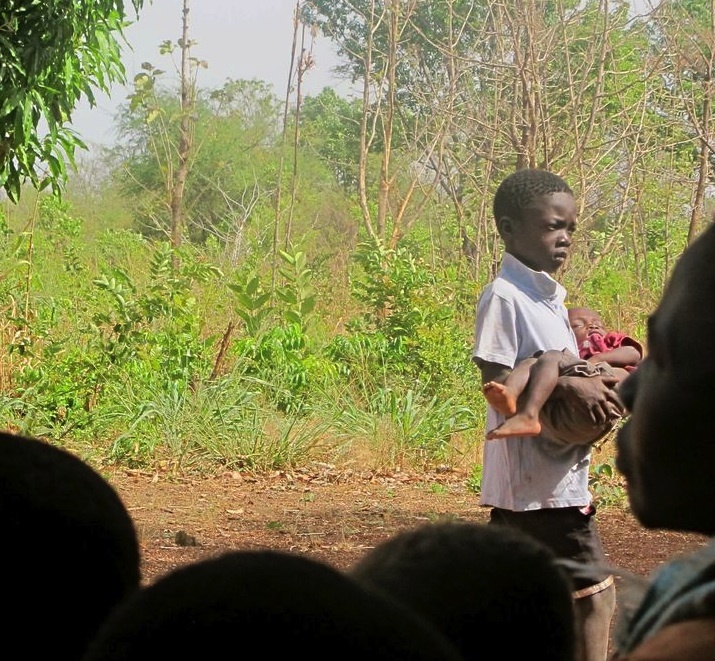 After several hours of painstaking care, little Nina awoke from her dehydration—mad! It was wonderful to hear her angry cries, and everyone cheered. She would be one more survivor of the malaria plague that continues to threaten a peaceful, loving people. Over the course of the week, I would see this scene play out over and over again, watching these angels of mercy pluck one tiny life after another from the jaws of certain death. If you think sending money to the poor and needy is the same as being there, I think you’re wrong. If you feel that it’s more important to send someone else in your place, talk to one of these nurses—they wouldn’t give this up for anything. I have the greatest respect for those of you who serve others, especially the poor, needy, and forgotten. To my nurses and every woman (and man) who took care of these precious lives last week, you have my eternal adoration. May God bless you all. You have blessed me beyond measure.